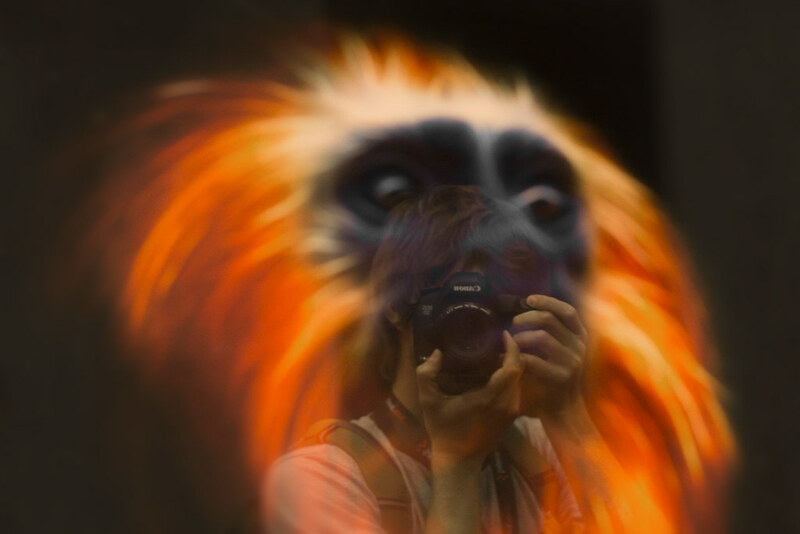 Reflection through a wild monkey photo in the Getty Images exhibit at the SXSW 2013 trade show in Austin. The artist's info was not displayed. If anyone knows anything about the original image, please let me know.